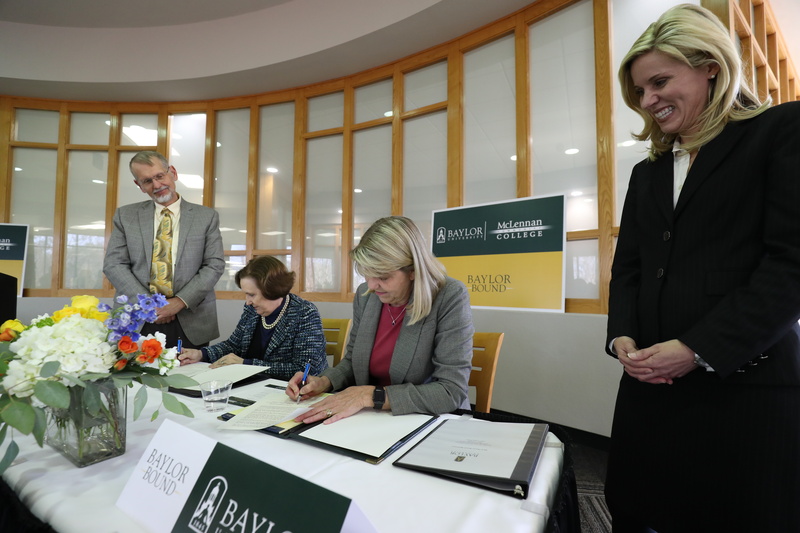 WACO, Texas (Jan. 29, 2019) – Baylor University and McLennan Community College solidified their partnership with the signing of a new Baylor Bound transfer agreement that will help students transfer more easily between the two institutions and continue to expand educational opportunities for young people across the region. 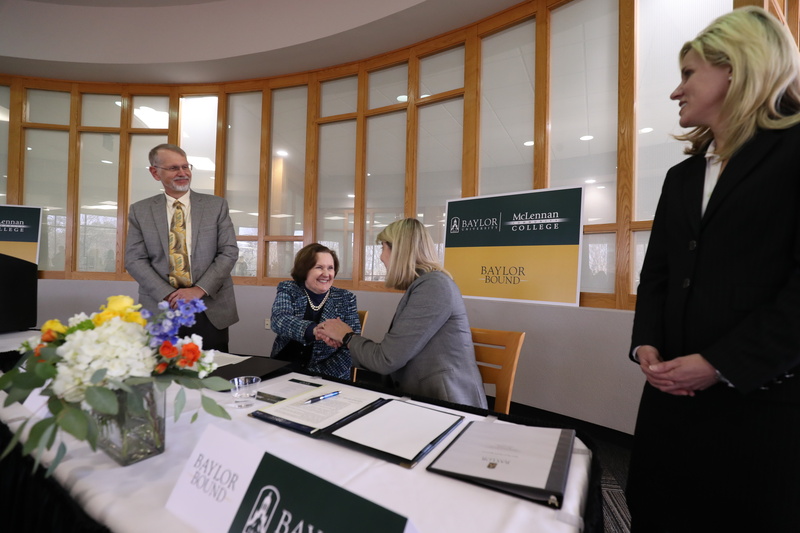 Baylor President Linda A. Livingstone and MCC President Johnette McKown signed the partnership agreement during a ceremony today on the MCC campus in Waco. 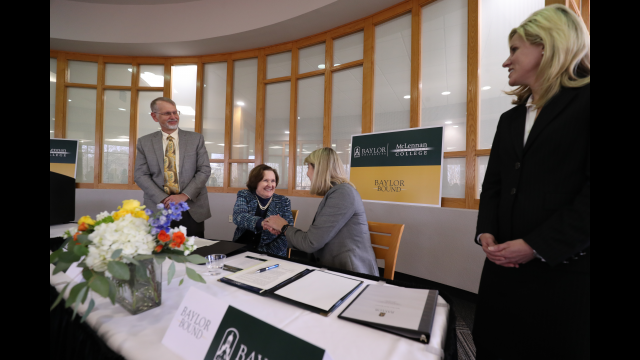 The Baylor Bound program will serve highly motivated students from MCC who, upon meeting the program’s criteria, will transfer to Baylor to complete their baccalaureate degrees. 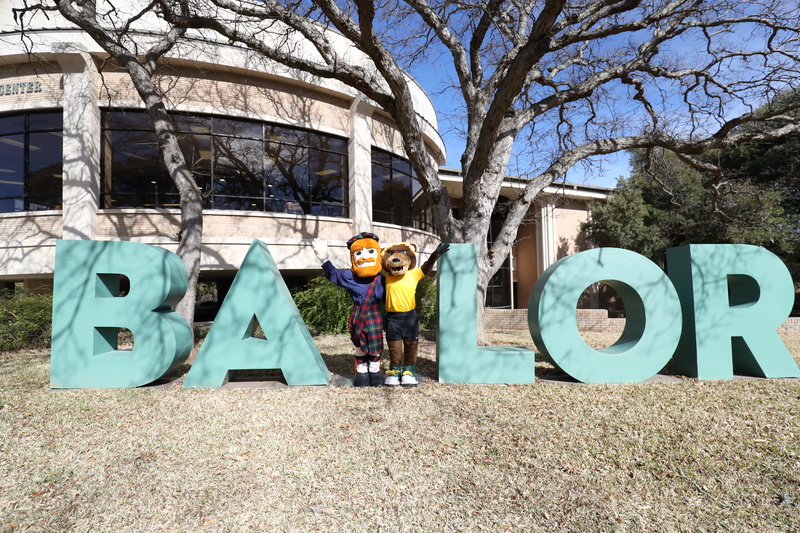 Participants in the new Baylor Bound program are offered opportunities to apply for specific scholarship programs, such as the Baylor MAC Scholarship, Baylor-MCC Cooperative Scholarships, Baylor-Waco Foundation/MAC Grants and the MCC Transfer Student Engagement Scholarship, which provides $3,000 per year. 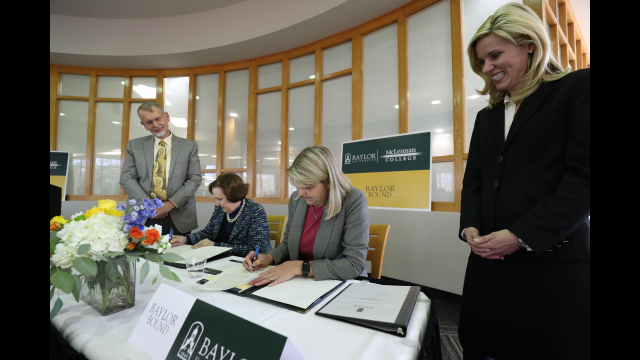 Additionally, Baylor Bound participants have access to Baylor academic advisors who help students navigate the transfer process and specialized Major Academic Planners or MAPS, which provide detailed information related to what classes students should take to maximize their time at MCC and Baylor. 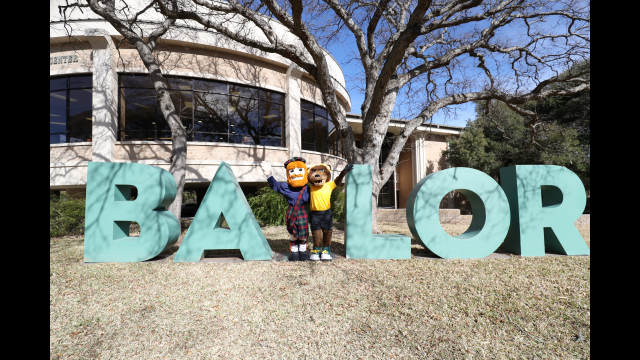 Baylor transfer staff will be available at specific times throughout the semester at MCC to answer transfer students’ questions and “MCC Ambassadors,” who began at MCC and have already transferred to Baylor, will serve as peer mentors. Interested students can submit their intent to transfer to Baylor by completing the Transfer Interest Form while enrolled as a full-time MCC student.